The latest estimates indicate that 8300 million metric tons (Mt) of plastics have been produced to date. As of 2015, approximately 6300 Mt of plastic waste had been generated. Despite the efforts of the last 40 years, only 9% of this material is getting recycled. The environmental impact of plastic pollution is wreaking havoc and if smarter decisions are not made regarding how this material is being managed the effects will certainly be catastrophic for the entire ecosystem. We have a plastic pollution problem, not a plastic sourcing problem. It begins in design, not disposal. Whether the resin is petroleum based or bio-based, if that complex molecule that’s been created does not perform in accordance with the common method in which this waste is effectively and customarily managed, especially when the returns contribute to lowering CO2, increasing clean energy recovery and eliminating plastic waste as an environmental pollutant, then the sincerity of the entire sustainability platform should be questioned. The vast majority of this plastic pollution is coming from FMCG companies that rely on single-use/non-recyclable packaging to deliver goods. The packaging provides unparalleled performance and value in achieving this purpose. However, the post-consumer repercussions are disastrous. Consumers are being used as scapegoats, blamed for low recycling rates and even buying the product in the first place, but most consumers are dutifully ensuring this material is in fact being sent to a managed waste environment. But sustainability professionals within FMCG companies fail to recognize and capitalize on this asset that sits under their proverbial noses. This problem must be viewed through a different lens and nothing is more critical in accomplishing this then getting a handle on how today’s waste is actually managed and the intrinsic value propositions that exist in complying with these infrastructures. This entry was posted in Biodegradation, Environmental News, Product Innovation, Testing and Data, Thought Provoking and tagged biodegradable plastics, sustainability on August 1, 2017 by paul.wightman. 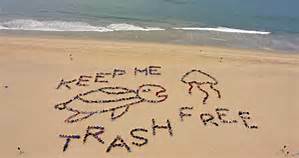 By 2050, it’s estimated there will be more plastic waste in the ocean [by weight] than fish. Perhaps, we should start listening to Mr. Fish. At the 2017 Waste Management Executive Sustainability Forum a message was delivered by Mr. Jim Fish, CEO of Waste Management (WM), echoing his predecessor, Mr. David Steiner. 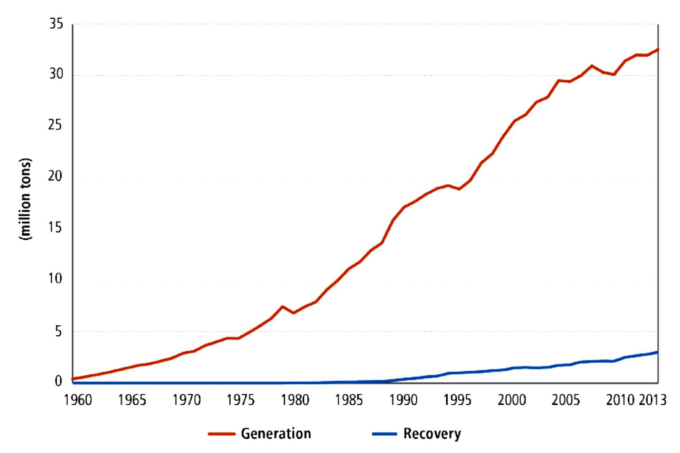 “The goal is to maximize resource value while minimizing and even eliminating environmental impact, so both our economy and our environment can thrive.” In 2016 Mr. Steiner told the National Recycling Conference in New Orleans that coupling landfill gas-to-energy with recycling would provide the “biggest bang for the buck environmentally.” Mr. Fish concurs, specifically points out that WM’s day-to-day operational technology continues to evolve and it will play an even larger role moving forward, both on the collection and disposal sides of WM’s business. And as Mr. Steiner indicated last year, what’s most exciting to Mr. Fish continues to be what’s happening with the materials that cannot be recycled or composted. “Today, environmentally safe landfills play an important role for materials that don’t have viable end markets.” Why is this? Because today’s modern landfills continue to clear all the hurdles, they work, they’re scalable, they’re economical and there are policies and regulations in place to support and encourage the developments of next generation alternatives in this space. In short, these facilities are pumping-out clean, inexpensive, renewable energy like no other option! This is where achieving true Circularity comes into play and it’s what most technologies are striving for when it comes to last/best option in handling waste – Energy Recovery. WM spends a great deal of time and expense exploring best possible options. However, one of the major pillars of WM’s strategy is adhering to the price discipline that is Mr. Steiner’s legacy. “In a business where there is no price elasticity in demand, we must stay dedicated to that discipline” and with the current low energy prices, “nothing can compete with the low landfill pricing.” According to Mr. 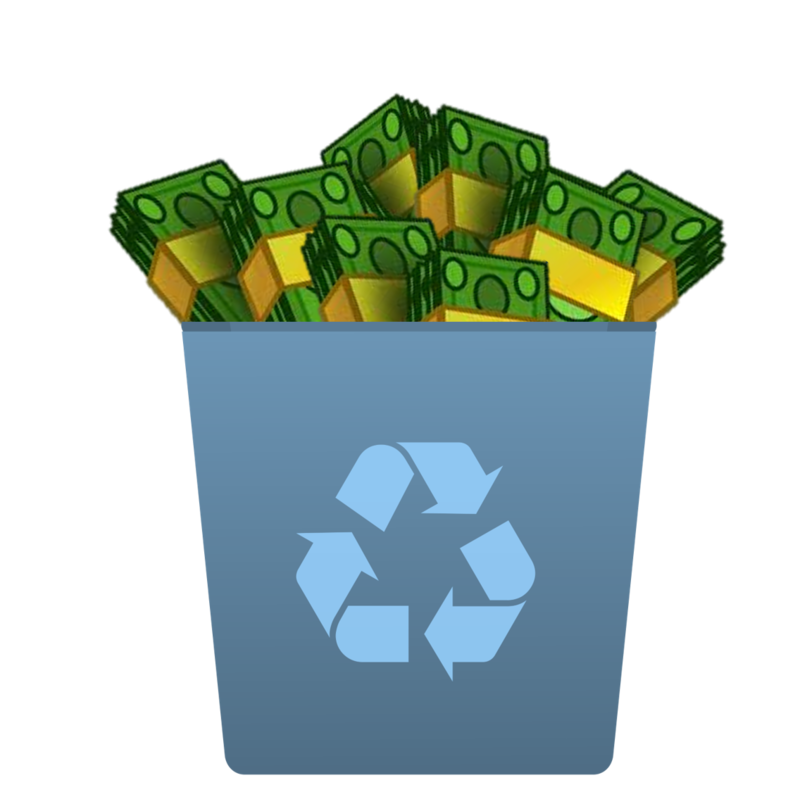 Fish, other options have cost-structures that are at least 3-10 times the cost of landfill air space. WM remains dedicated to a “sustainable” recycling business. As they should, not only are they the biggest landfill company in North America, they’re also North America’s biggest recycler – by an even wider margin. In fact, it’s one of WM highest returns on invested capital, a business they want to ensure survives and thrives in the future. But Mr. Fish points out that we are in unchartered waters, the changes in products and packaging that are coming into our homes are significantly different and so are the recyclables going out, considerably increasing contamination rates and reducing value. This has led WM to take a hard look at what recycling means in term of environmental benefits. Mr. Fish goes on to explain that when it comes to the management of organic waste (including packaging) the first priority is in trying to reduce the amount of material from making it this far down the value chain – of course. However, when this waste is collected for recovery (including non-recycled plastics, even the ones that say “recycla-bull”) it becomes feedstock for a process and a new product, either compost or an energy product. Anything not designed to comply with either option reduces the quality of this feedstock driving-up cost and threatening the entire process. Mr. Fish went on to highlight the importance of managing food waste. The main objective here is to reduce food waste and fortunately plastic packaging plays a critical role in preserving our food. Plastic packaging is not food and it should not be expected to perform like food, which would defeat the purpose. Nor should this material be comingled with food waste disposal, elevating the risk of more waste-stream contamination. Besides, industrial composting standards (ASTM D6400) require 90% conversion to gas in 180 days, leaving no nutrient value and losing any ability to capture the gas. In my opinion, compostable standards for packaging, although well-intentioned, simply overshoot any return value. To jeopardize the entire supply chain with inadequate product performance and stability for the least common means of disposal doesn’t make much sense to me. Instead, more focus should be on the primary means of disposal (anaerobic) and the proven asset that this environment offers, the recovery of clean renewable energy. The data provides a clear pathway to achieving our environmental goals. Packaging should have the highest value and minimize environmental impacts in its most common discard method– without compromising the package quality. For the vast majority of packaging this does not equate to recycling, instead the environmental and economical winner is conversion to energy in modern, environmentally safe landfills. This shift in creating science and data driven solutions, rather than basing actions on perception or environmental folklore, is vital in reaching WM’s goal to process this material to its highest worth, maximizing the resource value and eliminate the environmental impacts of packaging in a way that’s both good for the economy and our planet. Although this message seemed to completely elude the panel of experts that followed, discussing the conundrums of complex packaging, I hope others will begin to take Mr. Fish’s advice before we’re all swimming in it. This entry was posted in Biodegradation, Plastic news, Product Innovation, Testing and Data, Thought Provoking, Uncategorized and tagged biodegradable plastic, clean energy, converting landfill gas to clean energy, environmentally-friendly, packaging, sustainability on February 6, 2017 by paul.wightman. The Top 10 and Not a 1? 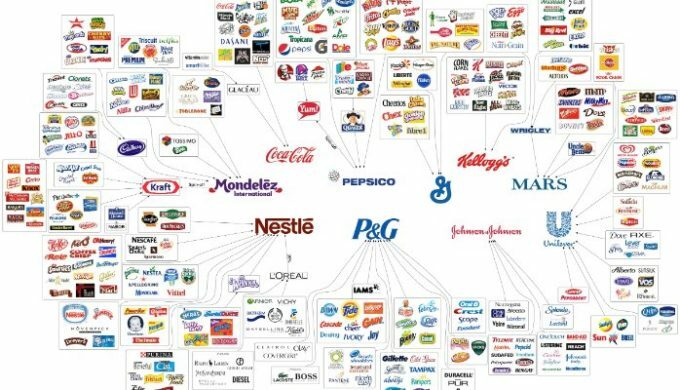 This diagram represents the top ten producers of plastic packaging. The vast majority of the plastic applications that are produced by these brands become waste. All the film packaging, pouches, diapers, detergents, hygiene products, wrappers, coffee bags, food containers and much more, that’s produced by these 10 companies accounts for an astonishing amount of the plastic waste that is certainly not being reused or recycled in any meaningful way. We hear a lot that environmental pollution is a consumer problem. We get told how to prepare our waste for recycling. “Put this here and put that there. No! Not that, this. Well, sometimes that, but probably not. Maybe, use water and wash it out. No wait – water..? Take it here or actually take it someplace over there. Otherwise, it may need to be shipped somewhere..?” And when you stop to take a look at the results of all this effort, you’re left wondering, are you kidding me, is all this even environmental? Enough already! News Flash: In the last 50 years, we’ve invested heavily in how we manage waste and the infrastructures we utilize. They’re very impressive works of innovation and they’re regulated for environmental efficiency at the highest level. In fact, today 85% of all U.S. municipal solid waste ends-up in an environment that converts biogas into clean energy, generating a valuable alternative resource for our growing energy needs. Some of these companies are actually using the same means to power their own manufacturing facilities! Yet, accountability for this aspect in packaging design is scarce. How is this being overlooked? We’re now dealing with decades of plastic waste that’s been left in our environment; we see the devastating repercussions and the projected damage it will cause. Plastic production has surged to 311 million tons and is expected to double in 20 years. Currently, plastic packaging accounts for nearly a third of the total volume of plastics used, and unlikely to be recycled. By ignoring the single most common disposal method of this material, valuable energy is being wasted and continues to compound the environmental problem. If these 10 companies took one simple step to ensure packaging design for disposal compliance, the impact would provide tremendous and measurable value, for company and community. Getting plastics out of our environment and into the grid falls on the shoulders of producers not consumers. Ensuring energy recovery should be paramount in packaging design, it’s the only opportunity to recoup value and it should be the top consideration in packaging sustainability initiatives. It’s the missing link to creating circularity; it’s recycling at its highest peak. With an immediate 85% capture rate at the fingertips of corporate sustainability leaders, what are you waiting for? This entry was posted in Biodegradation, Environmental News, Plastic news, Recycling and tagged biodegradable additives, clean energy, ENSO Plastics, environment, landfill gas to energy, sustainability on September 1, 2016 by paul.wightman. Sustainability is a driving factor for many companies, however understanding how to measure and achieve sustainability has proven to be extremely complex. In 1994 John Elkington coined the phrase “people, planet, profit” at SustainAbility. This concept of the triple bottom line is now found in nearly all discussions of corporate sustainability. And while the newly commissioned sustainability executive will proudly tout their implementation of “people, planet, profit; I can’t help but feel they are missing the real solution. The triple bottom line follows the belief that a business should account for and take inventory of environmental impacts and social impacts while maximizing financial gains. Inherently there is a constant struggle to justify the financial costs of environmentally sustainable solutions, and improving the community comes at a price as well. Inevitably all sustainability managers find themselves with ideas and solutions to improve people and planet, but without justification to implement these solutions because of the impact on profit. The problem is that we need a fundamental shift in the understanding of the purpose of business and what “people, planet, profit” really means. Only then can these three aspects work together seamlessly. Some believe the purpose of business is to make money – profit. The butcher makes money selling meat, the chef makes money cooking meals and the builder makes money buying houses. While each of these businesses could make a profit, this is not the purpose of business. If consumers don’t want meat, cooked meals or new homes, those businesses will never survive. The only way a business remains is if it provides a value to the community. Obviously these are simplistic examples, but the overall perspective is the same. The purpose of business is to provide value. Value to the people, value to the planet. Profit on the other hand is not a value provided. Profit is what you get in exchange. The profit is an inherent result of providing value to the people, value to the planet. 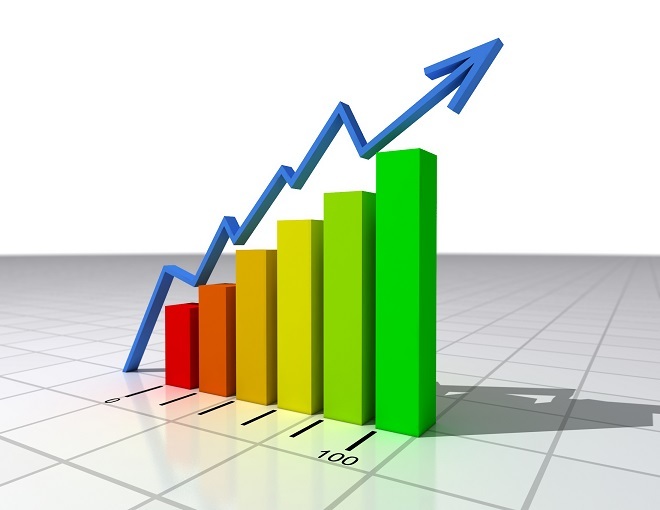 In a sustainable business, profit should never exceed value, nor should it be less. Perhaps the solution to the bottom line is simply creating a balance between the value you provide to people and planet, and the value you receive in return as profit? This entry was posted in Thought Provoking and tagged sustainability, triple bottom line on August 25, 2016 by Teresa Clark. 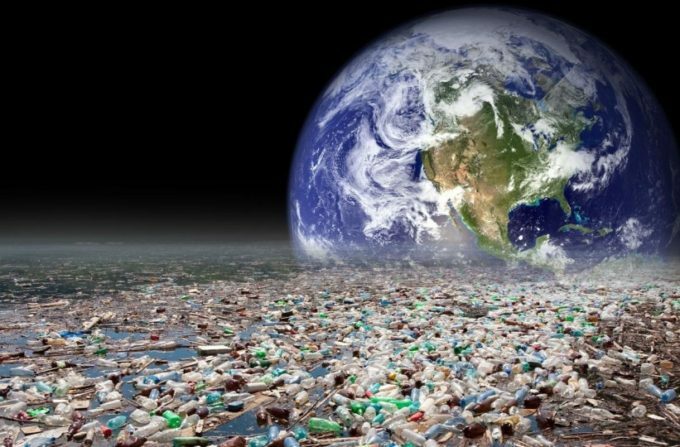 There’s about 78 million tons of plastic waste produced each year that is non-recyclable, non-reusable, already light-weighted and unavoidable. The next feasible option we have to “cycle” this material at its highest level possible is in energy recovery. Fortunately, the vast majority of this material is already entering a waste-to-energy facility and there’s no need for infrastructure or behavioral changes. For this to happen, these applications simply need to be designed conducive for anaerobic environments. The recovery of Landfill Gas-to-Energy provides predictable results and a better value proposition for single-cycle applications than any other disposal method we have available today. As we embark on creating a “Circular Economy” we need to harness the resources available to us. 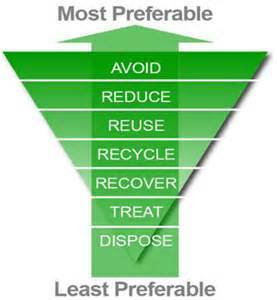 The idea is to recoup, or recover, the greatest value possible within a products life-cycle, including disposal. Plastics cannot be recycled perpetually, it is not an end-of-life solution. In order to get plastics out of the environment and into the grid, it falls on producers, the brands and manufactures, to ensure its applications are designed to comply with this disposal method. A collaborative approach is vital, yet there are still some companies, even ones who’ve pledged their commitment to creating a circular economy, that scoff at the idea. Unwilling to design for disposal and dismissing the returns of alternative energy, they stay committed to a recurrent single strategy for nearly half a century. Is it because consumers won’t understand? I doubt that, but using consumer comprehension as a litmus test in harnessing innovation may not be the best idea. Besides, as a consumer myself, I’d prefer an honest approach that provides intrinsic benefits, and less of my own involvement, to being misled that anything’s really being done at all. This entry was posted in Biodegradation, Environmental News, Good Causes, Thought Provoking and tagged Alternative Energy, benefiting from landfill gases., biodegradable, biodegradable additives, biodegradable plastics, sustainability on April 28, 2016 by paul.wightman. Let’s look at the issue of plastic waste and how we can use the circular economic model to resolve some of the problems that we face, that’s ultimately spilling into our environment. Some 300 million tons of plastic is manufactured globally each year and “plastic packaging” accounts for about 78 million tons of it. That’s 172 billion pounds of non-reusable, non-recyclable and unequivocally unaccounted for plastic waste. This includes items such as flexible packaging, films, foamed material, small items, contaminated material, complex/multi-layer applications and anything colored, where recycling and reusability are practically non-existent. These are single use, single cycle, applications. Also, there’s unanimous agreement that the vast majority of all these applications are destined for a landfill. And these are not the demonized landfills from days gone by; I’m talking about today’s modern landfills that are now energy generating power plants. This discussion is not for the consumer, this is for the difference makers, the sustainability managers, the leaders that can make a difference. They’re the companies that, according to Extended Producer Responsibility (EPR), are to be held accountable for the post-consumer aspect of its products and packaging. 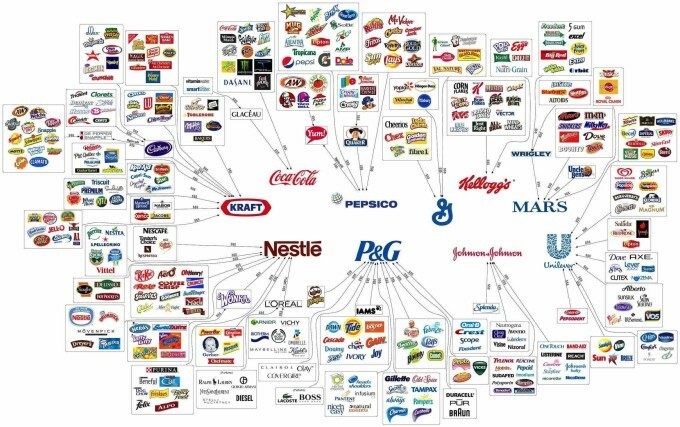 I’m talking about companies like Kraft, Coca-Cola, Nestle, PepsiCo, P&G, General Mills, Johnson & Johnson, Kellogg, Mars, Unilever and all the brands under them. We all know, or the data tells us, that this is the single most common disposal method of all this material. It should also be known that waste-to-energy has proven to be one of our greatest resources for alternative energy. Whether it’s an anaerobic digester, a bioreactor or today’s modern landfills, most plastic packaging is ultimately ending-up in a unique anaerobic environment that is controlling and converting biogas into clean energy. Some of these companies utilize the energy from landfills, yet they haven’t put the pieces together to figure out that the very trash that their products produce could be the feedstock for the alternative energy resource they’re already harnessing. Too often, the end-of-life aspect is ignored or swept under the rug with theoretical contemplations about disposal methods that simply don’t exist and senseless confusion. Yet, nearly all 50 states include landfill gas-to-energy as part of their green energy portfolios. It’s recognized by the United Nations, the EPA, as well as dozens of Fortune 500 companies and government organizations that all utilize energy from landfills. However, the dots just aren’t being connected. I recently asked the Director of Sustainability for one of these 10 companies about this topic and they honestly said that they’ve never heard of such a thing and can’t imagine that we’ll ever get our energy from slowly decomposing waste. Yet, three years ago this same company won top honors by the EPA as one of the largest on-site green power generators because of its use of Landfill Gas-to-Energy (LGE) to power its manufacturing facilities! Seriously, why the disconnect between what companies are doing and what companies should and could be doing to think more circular? Imagine if you will, this same company implementing landfill biodegradable packaging and then using the energy from landfill gas. This is true circular economy thinking, especially when energy needs will increase 50% in the next couple decades. Without requiring any change to the infrastructures in place today and without modifying consumer behavior, these single use applications can be designed to cycle at a higher level. I’ve heard the idea that plastics should be made NOT to biodegrade in a landfill because one day we might want to mine for this material. This is completely asinine and assumes that we’ll have a need to mine for this material within the next couple hundred years. The reason being, plastic will eventually biodegrade, we just won’t be able to capture the gases produced if we wait too long. Instead, if these applications were designed to biodegrade within the managed timeframe of these anaerobic environments, for every million pounds of plastic waste that enters a LGE facility, it offers the equivalence of over 422,000 pounds of coal, 52,000 gallons of gasoline and more than 1100 barrels of oil, which is used to power homes and factories, as well as fueling vehicles! The technology is readily available to make most any polymer application anaerobically biodegradable, or commonly referred to as Landfill Biodegradable. The technology does not change any processing parameters, there’s no change in any performance characteristics, and it’s not expensive. In fact, for about the price of a Tall Cappuccino, tens of thousands of Starbucks Coffee cups can be designed to biodegrade in a landfill. These multi-layer applications are not being reused or recycled, but they are going to a landfill. So what gives, is it because of the misguided concept that landfills are bad? Perhaps it’s time to reevaluate the integral role of this disposal method that rely so heavily on; a lot has changed since the 80’s. In fact, you could say that we’re now diverting 75% of all MSW away from landfills, because the type of landfills that are being vilified are becoming obsolete – quickly. A single loop system for handling our plastic waste is impractical, circularity does not mean singularity, there’s too much at stake, too much potential, and the infrastructure is already in place so there’s no need to implement Cass Sunstein’s “nudging” tactics to change consumer behavior. Besides, the fact that none of this material can/will be recycled is not because of consumer behavior, its feasibility and market demand, and it’s just not there. A company wanting to take accountability for its packaging needs to answer one candid question: What is the common disposal method of the application? Then, do what can be done to take advantage of this fact and understand the value in having our waste integrate into our waste infrastructures instead of working against it. The facts, the science and all the data, prove that there’s an enormous opportunity being overlooked. I believe the circular economic model can work for plastics, but not if it’s simply a rebranding of the last 40+ years of rhetoric. 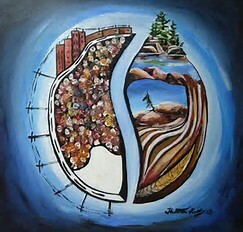 This entry was posted in Biodegradation, Compostable Plastics, Environmental News, Recycling, Thought Provoking, Uncategorized and tagged biodegradable additives, biodegradable plastics, clean energy, earth friendly plastics, ENSO Plastics, innovation, landfill gas to energy, plastic packaging, sustainability, technology on April 18, 2016 by paul.wightman.